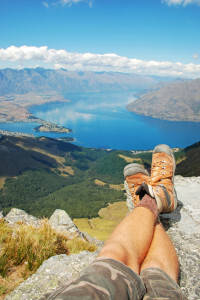 A Kiwi Guide To Packing For A New Zealand (Or Any Outdoor) Adventure Sweet As! Us Kiwis are known for our ‘get up and go’ attitude to travelling. We’re a spontaneous bunch, and are usually up for any opportunity that involves any kind of outdoor fun and frivolity. We’ve grown up surrounded by beautiful lush forests, spectacular alpine landscapes, huge spans of unpopulated and unpolluted beaches and many other amazing features of our country that, to be honest, most of us take for granted. We think nothing of throwing on a pair of jandals (that’s Kiwi for flip flops), and heading off to the nearest surf beach for a dip, or jumping into a pair of hiking boots and going for a trek. Many of these destinations are less than an hour’s drive away for most of us. Our country has so many contrasts, not just in a scenic sense, but also weather wise. 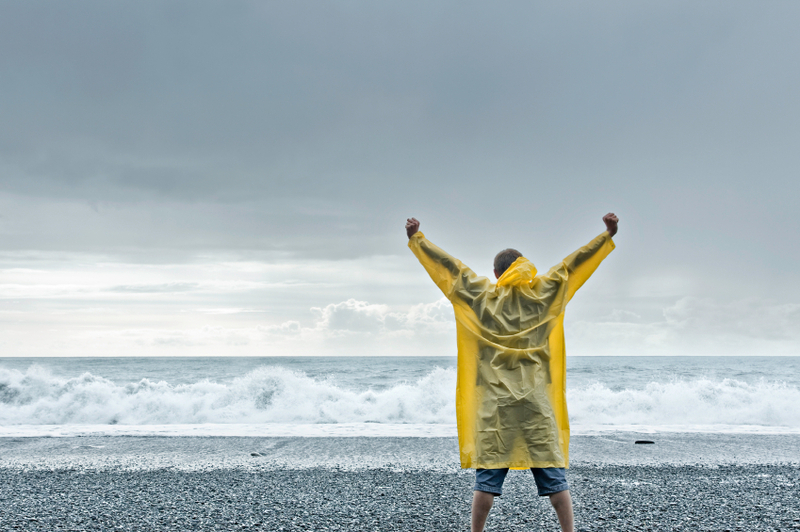 You may not get to walk through a blizzard, but you can be surprized by a sudden rain shower. In places like Milford Sound, it can be gloriously sunny one day, with crisp blue skies like you’ve never seen, and the next day immersed in mist, accompanied by rainbows hovering above the many waterfalls that suddenly appear, cascading down the sides of the sound. The ancient beech forests on our west coast are very lush, dripping in lichen, very much like something you’d see in a Lord of the Rings movie. 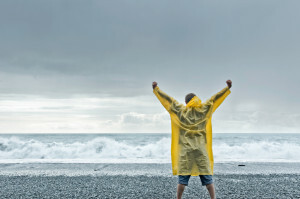 Having a light rain jacket in these places keeping you warm and dry during a rain shower makes for an even more amazing sensory experience. If you love taking photos, you’d better take plenty of spare memory cards! Whether you’re taking a photo of someone bungy jumping, a kea (native parrot) or a Hectors dolphin as you’re kayaking through the deep water sounds, you’ll want to allow plenty of time to capture the many uniquely Kiwi sights, scenes and wildlife. We love swimming in the rivers and the sea. There are many waterholes that are perfect for swimming, and pretty much every Kiwi you ask will say, “don’t leave for a trip without swimmers”, or togs as we call them! Our beaches and harbors are great for surfing, swimming, paddle-boarding and kayaking. A wetsuit is another optional but useful piece of equipment that comes in handy for river rafting, tubing, or even a spot of kite surfing. These are all activities that are readily available and easy to book if you’re up for it! 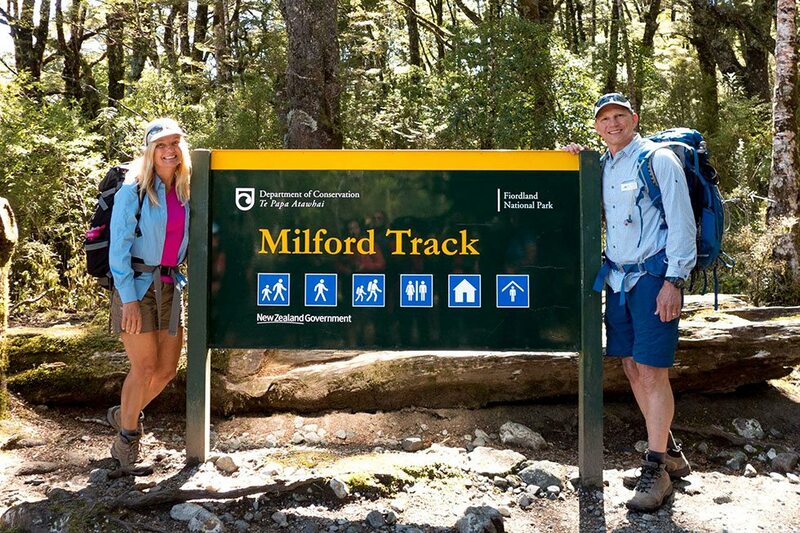 We have such a wide network of walking trails, tracks and hikes available. The Department of Conservation provides and maintains huts all over the country that hikers can stay in overnight. If you’re game, you could stay in an old shearers quarters, used for a century or more by the shearing teams that travel around from sheep station to sheep station shearing flocks of sheep. Some of these places are so remote that it’s necessary to have this accommodation available for the workers. Many of these stations, Like New Zealand’s Braemar, in the South Island, also provide accommodation for people wishing to stay and eat in comfort, but who still want to experience the true essence of life for the people living and working in these stunning remote regions. 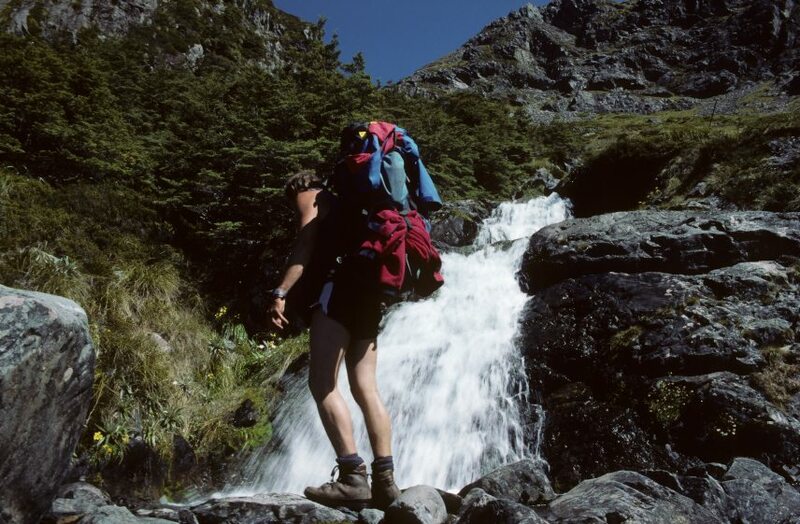 Many of our best hikes are several hours long, and while not necessarily strenuous; they are far away from any local towns, taking you deep into the heart of some of the most beautiful and majestic spots on Earth. 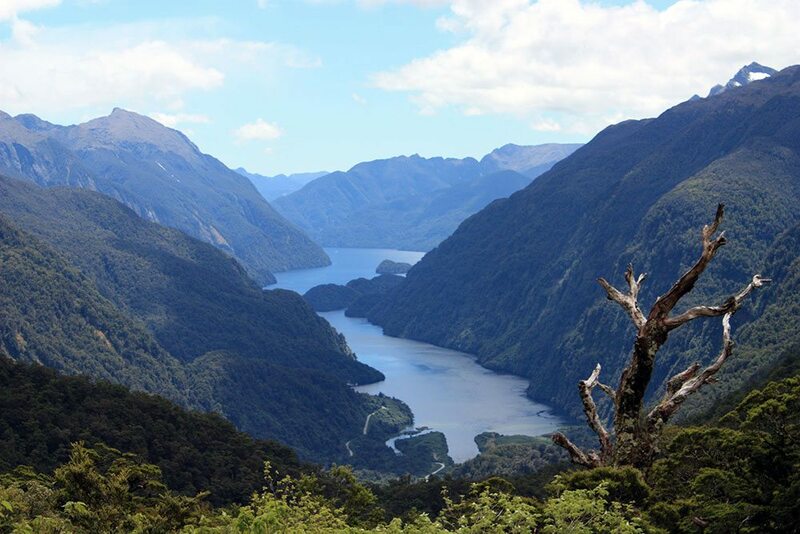 There are still many places that the average tourist travelling on their own would never get to see, so if you want to go to the best spots off the beaten track, ask a Kiwi to take you there! You’ll need sturdy comfortable boots, and preferably paired with New Zealand merino wool socks. New Zealand Merino can be worn for days, (not that you really need to), without that “camping body scent” and stays warm or cool through all seasons. I am a merino convert – add a possum sweater to the mix and you’re all set for a balmy New Zealand day or a chilly alpine night. Take some some trash bags with you. They are great for easy storage of anything damp, empty wrappers and/or anything else you want to keep separate from your other gear. If you decide to get really adventurous and try a river crossing, lining your pack with a large garbage bag ensures dry contents in the event of an involuntary dip in an alpine rocky river. As a Kiwi kid growing up, we enjoyed picnic treats like chip and marmite sandwiches and hundreds and thousand bikkies (cookies in non Kiwi speak). If you’re here in the right season you can try whitebait fritters drizzled in lemon juice. Take a good hearty lunch to eat while enjoying the magnificent views on top of one of our mountain plateaus or peaks, (or if you enjoy a nice evening tipple, a bottle of Central Otago Pinot Noir). Oh, and you may want to save a bite of your sandwich as an offering for the Taniwha, a mythical river dwelling creature from Maori folklore. The word is, they like Tim Tam biscuits and Pavlova (just kidding about the Pavlova). So there you have it – a short and sweet Kiwi packing list. 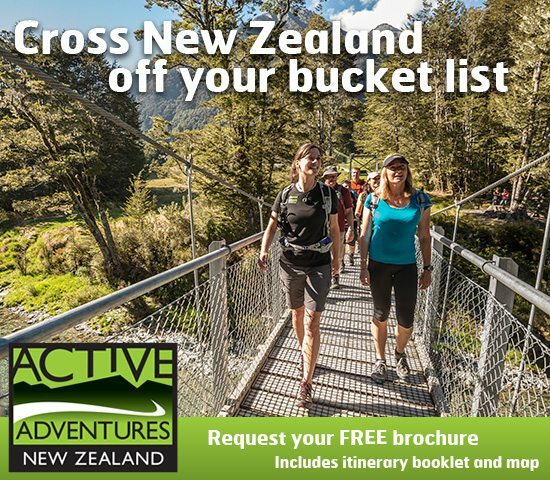 If you are planning a Kiwi outdoor vacation and want to know more about what to take on a New Zealand hiking, kayaking or biking adventure, check out our Hiking Tours page: what to see and what to bring from real kiwis, who have been showing visitors and adventurers the best spots in New Zealand since 1996.